In this Black Ops 4 Voyage of Despair guide, we’ll cover the Voyage of Despair clocks, the Voyage of Despair boss fight and everything else you need to know about the Black Ops 4 Voyage of Despair easter egg. 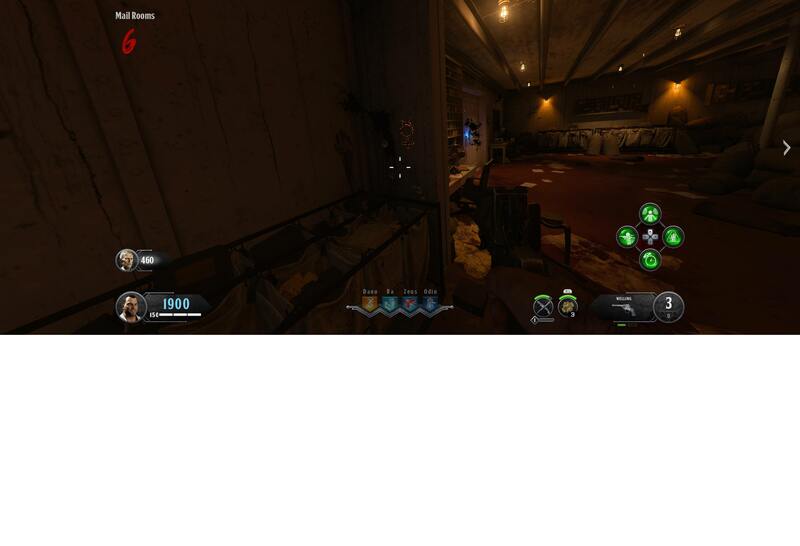 There’s a number of steps you need to take to complete the Voyage of Despair guide, so let’s get right to it in our Call of Duty: Black Ops 4 Zombies Voyage of Despair easter egg guide. The very first step you need to take is to unlock the Voyage of Despair Pack a Punch machine. We’ve already covered that in a separate guide since it has so many steps within, so check that out here. [Clock] To the right of the doorway leading to the Cargo Hold. [Symbol] Underneath the stairs near the Vapr weapon purchase. [Clock] Above the steering wheel. [Symbol] Behind the steering wheel, underneath the desk. [Clock] At the top of the staircase engraved in the wall. [Symbol] Head right from the clock, and you’ll find the symbol above a doorway. [Clock] On top of the fireplace in the middle. [Symbol] To the left of the mystery box on the wall. [Clock] At the bottom of the stairs from the Turbine Room, look left, and the clock is on the wall. [Symbol] Behind the luggage next to the base of the stairs. [Clock] Opposite the hanging corpse. [Symbol] On the cabinets to the left of the clock. You’ll know there is a symbol near the clock when the displayed time isn’t 11:40. Four of the clocks will display different times, which means the symbol should be there. When you’ve found all four clocks and symbols, head to the Bridge. There are four turntable dials each with an elemental symbol in them, one for every symbol you’ve found by the clocks. You need to match all four turntable dials with the correct time displayed on the clock by the symbol you found. You can adjust the time shown by controlling the minute hand in the Captain’s Bridge, while the hour hands are controlled in the Engine Room/Poop Deck. Four of these outlets will be sparking a different color. You need to kill an Elemental Catalyst that corresponds to its color, next to the outlet. Kill a Fire Catalyst by the red sparking outlet, Water Catalyst by blue, Electric Catalyst by yellow and Acid Catalyst by green. At each outlet, when you kill the correct catalyst, a ritual symbol will appear on the floor. 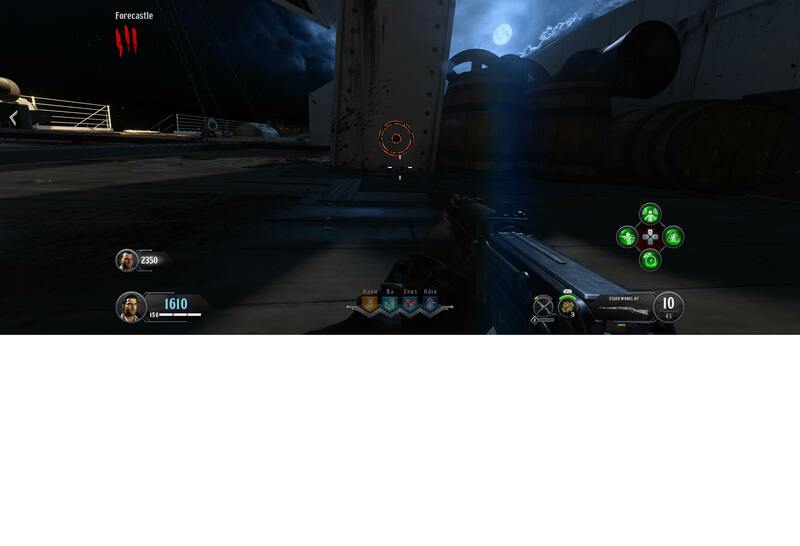 All players in the game need to stand on top of the symbol and interact with it. Everyone will be teleported into a trial where you just have to survive, killing the waves of zombies. Once you’ve survived, your screen will go grey, and you can pick up a fake Sentinel Artifact – the same thing you interacted with to get Pack a Punch. Do this four times – once at each outlet – and you’ll be given a real Sentinel Artifact. For this next step, you need to have already unlocked the Kraken. Follow our guide here for more information on how to do that. [1st Class Lounge] On a table near the inside window. [1st Class Lounge] On a different table by the inside corner of the lounge. [Cargo Hold] Along the wall past the fancy car. [Cargo Hold] Behind the main stairs, on top of a crate. [Galley] On a brown shelf by the brick wall. [Galley] On a table inside the fiery room. This one’s a little different. 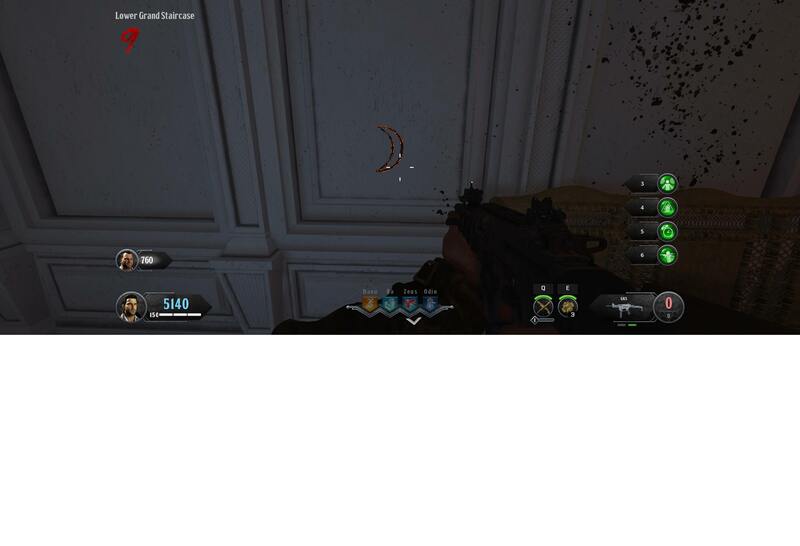 You need to kill an Elemental Zombie, and it should drop the Special Part. Once you’ve got all the necessary parts, head to the Engine Room. You’ll find a Crafting Table which will allow you to upgrade the Kraken wonder weapon. With the Acid version of the upgraded Kraken (Jormungandr’s Fang), head to the Boiler Room. You need to shoot all of the leaking pipes – nine different leaks from seven blue pipes. This will put the fire out. Once the fires are out, put the real Sentinel Artifact into the Pack a Punch machine. Now you need to interact with nine planet symbols. “But there are only eight planets now!” we hear you say. That’s because Earth and Pluto haven’t been included – instead, there’s the Sun and the Moon. Mercury – Mail Room: Look beneath the Forecastle to find the Mercury symbol. Venus – Millionaire Suites: Beneath the desk in the same room as the suitcases on the bed. Mars – Boiler Room: Beneath the furnace. Saturn – Bridge: In one of the rooms on the side of some cupboards. Jupiter – Engine Room: Up the first set of stairs, near a cardboard box on the floor. Neptune – Outer Aft Decks: Inside a lifesaver ring buoy. Uranus – State Room: Inside the room with a yellow basket in front of the door, Uranus is behind a pot. Moon – Lower Grand Staircase: On one of the white doors. Sun – Forecastle: On the deck in the middle, stand and face two large steel beams. You’ll see the moon behind them. Head to the Cargo Hold and interact with the Solar System Model. WARNING: Doing this will start an INFINITE ROUND. 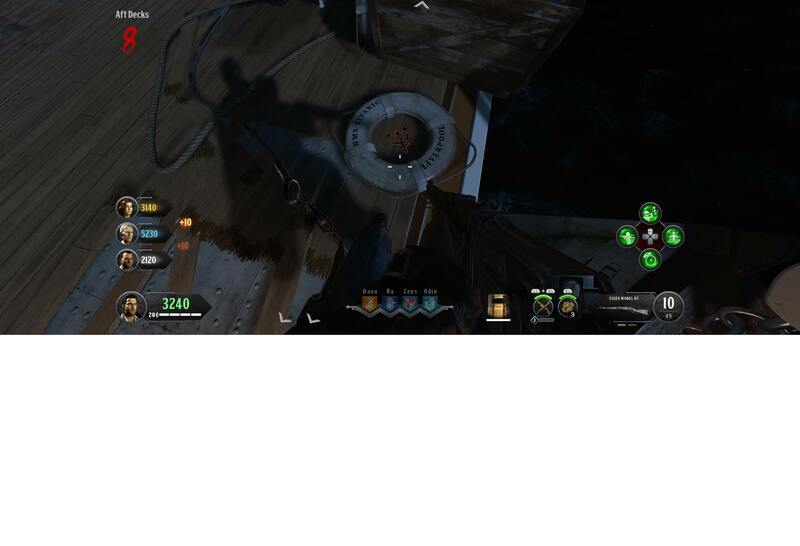 Zombies will NOT stop spawning until you have completed this next step of the Voyage of Despair easter egg! When you’ve interacted with the Solar System, the planets will start flashing in a specific order. Take note of the order they flash in because this is akin to a memory game. You need to shoot the planets in the order they flash. As you shoot each planet, a blue orb will spawn and float back to the original location of its symbol. You have 30 seconds to grab the orb – do this for every single planet but when you get to the Sun, stop. Take your time to upgrade all your weapons and equipment. You’ll need lots of ammo for this next step. When you shoot the Sun, have all players follow the orb to the spawn room and interact with it. Your screen will turn white, and a timer will start. You need to reach the other end of the ship as quickly as possible. It sounds simple, but large blocks of ice will appear and block paths. The most efficient way to break them is with the upgraded version of the Kraken, and the fastest path we’ve found is up the rightmost staircase. When you get to the opposite end of the Poop Deck, break the final ice block, and you’ll be taken out of the trial. A red symbol will be on the floor which will teleport you to the final boss fight. Of course, before you interact with the symbol, make sure you have everything you’ll need. Try and get a Max Ammo power-up, upgrade your weapons as much as possible, etc. When everyone is ready, interact with the symbol. You’ll spawn underwater. Swim to a nearby tree and interact with the Sentinel Artifact to get teleported back to the boat. A giant iceberg will appear alongside an enormous blue eye. Shoot at the eye, and you’ll eventually be teleported to the stairs behind you. Now you just need to survive. All sorts of enemies will come at you including Catalysts, Axe Men and Blightfathers. When you’ve survived, you’ll be teleported again. Now you’re in the Engine Room. Once again, survive the waves and waves of zombies until you’re teleported again. Don’t shoot the eye this time because it’s invincible. To the State Rooms this time. 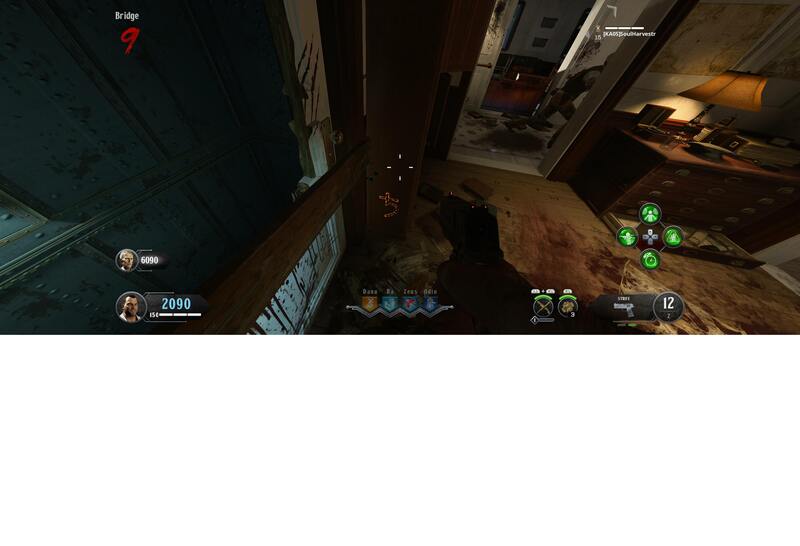 Even more zombies than before will come at you, and you need to deal damage to the huge eye at the same time. It can also attack you though, by shooting an enormous laser beam. Be extra careful because the beam deals serious damage and you can only damage the eye while it’s firing the beam. When you’ve dealt enough damage to the eye, you’ll be teleported again. Now you’re on a different side of the ship. Follow the same thing you did in Stage Three – deal damage to the eye and survive zombies. This is the final stage – not much is different except this time, you can damage the eye while it is crying and not firing the laser beam. Also, being hit by the beam is a one-hit-kill so avoid it as best as you can. When you’ve completed this stage and defeated the eye, the final cutscene will begin, and you’ve completed the Voyage of Despair easter egg. 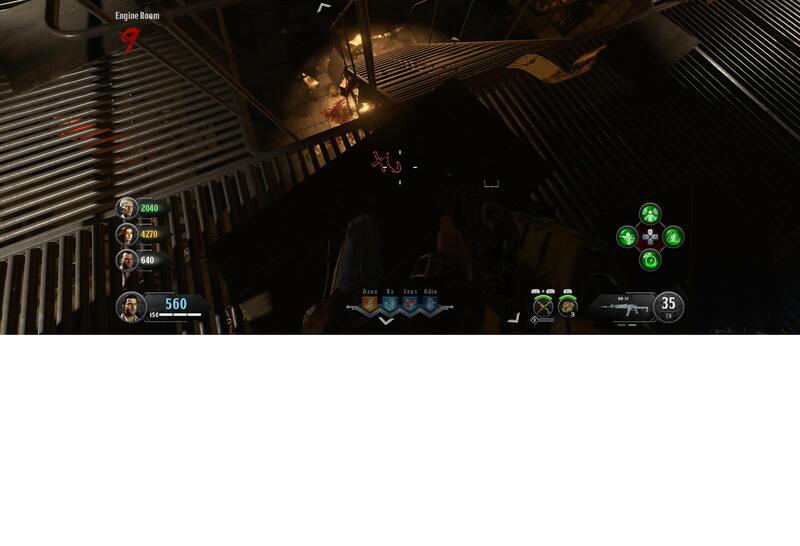 Want help with any of the other Zombies maps or with Black Ops 4 in general? Check out our Black Ops 4 guide hub.